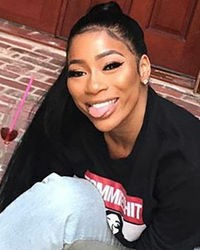 Tommie Lee is a reality TV star most famous for her appearances on "Love & Hip Hop Atlanta." She came on the show during Season 5 as a supporting cast member, and has remained as a main cast member since. Back in Jail ... Showed Up to Court Drunk!! !